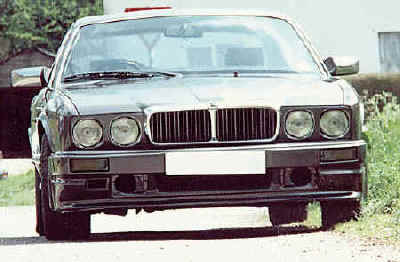 This bodykit fitted here is a replica of the TWR style bodykit for the XJ40. The kit was modified and improved for a better fit before being moulded. We have fitted and continue to fit many of these kits at our workshops. 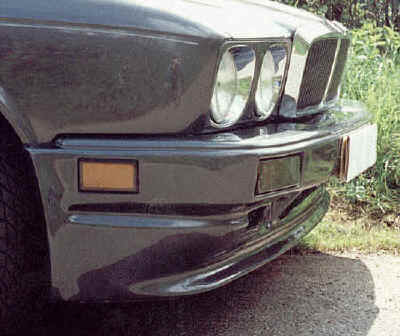 They used to be an excellent replacement for the original bumpers which had a habit of being stolen when the XJ40 was younger. They were regularly stolen because both the front and rear bumpers were simply held on by two bolts, and because originals were over £1000.00 each. 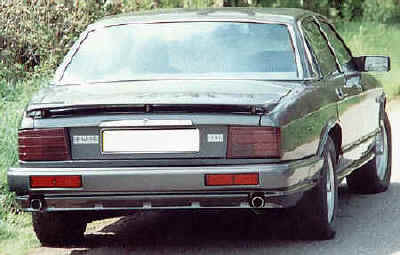 However now that the XJ40 is considerably older, and has now been replaced twice, original bumpers are not quite so in demand, and the type of customers wanting these bodykits has changed. They are an ideal modification, to make the car look more expensive, more upmarket and more modern. Many car dealers purchase these to improve older cars. Many people also now purchase them because good quality chrome bumpers are becoming hard to find. Now that the '40 is much cheaper to buy we are selling more of these kits, since more '40's are getting modified. This is helped by the number of magazine features on these cars, and the superb value for money that they represent. Also see X308 style conversion, and Tucson styling kit for XJ40's. The kit allows the use of the original reflectors and indicators to keep costs down. 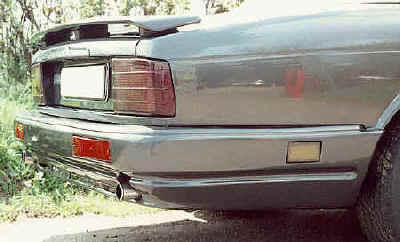 The boot spoiler is an optional extra. The photos do not do justice to the sideskirts which are more noticeable when you see the car in the flesh.